Beautiful luxurious protective hard body tool case designed to hold and protect your expensive tools. Easily holds your professional hair dryer or hot tools and inside padded velcro straps adjust to fit your needs. 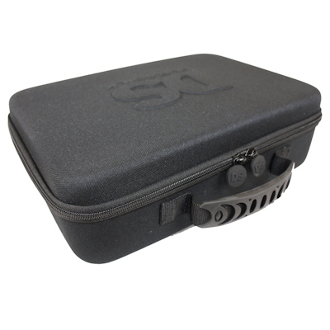 Organize your tools or travel with this molded neoprene DS tool case. Inside padded Velcro straps are adjustable and adjust to fit your tool needs. Velcro straps make separated compartments or strap over tool to hold in place. Matte rubber handle and easy grip rubber DS logo zipper pulls. Features 3D Molded DS Logo. Blowdryer not included. Size: 9" x 13" x 4"